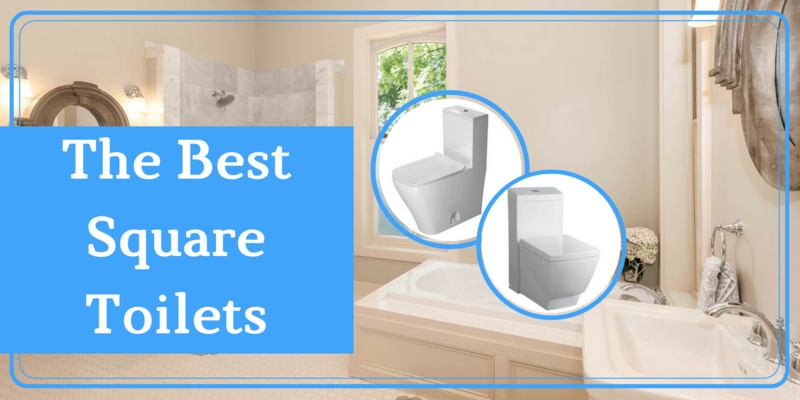 3 Best Square Toilet Reviews (2019 UPDATED) Our Top Picks! I often wonder what kind of person would like square toilets. “Excuse me, sir, but I would love to take a look at the most sophisticated model” perhaps a tall gentleman with those English top hat would stride into the shop. His Dali-ish mustache would dangle with joy. "Over...over here, sir. The latest designed square toilet would satisfy your need." Square toilets aren't just like standard toilets, but with a sprinkle of modernism. Most people who choose this type of toilet do so for aesthetic reason. And there’s nothing wrong with that!. Personally, I am a big fan of those angular designs too. The biggest problem with square toilet is that not everyone will feel comfortable sitting on it. The shape is not rounded to suit our own shapes, and it may cause discomfort by sinking into your skin and leaving unwanted marks! And you don't get these kinds of problems on elongated or round shaped of toilet seat. I'll talk about what makes square toilet special later in the article. But now, let's review my top 3 square toilet model. 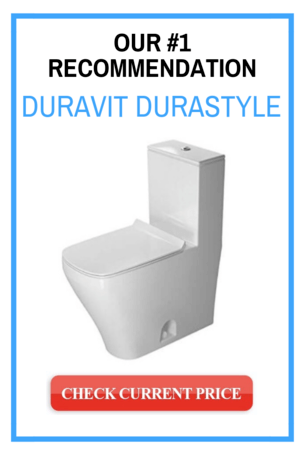 If you are looking for a company that is more than just talented at making square toilets, then Duravit is your boy. Duravit’s toilets are well-known for being environmentally -friendly; almost the whole brand develops around the concept. And that is exactly why they stand out. Needless to say, Durastyle goes with the amazing dual flush system, using 1.6 and 0.8 gallon per flush. One of the biggest selling point of Durastyle is its look. 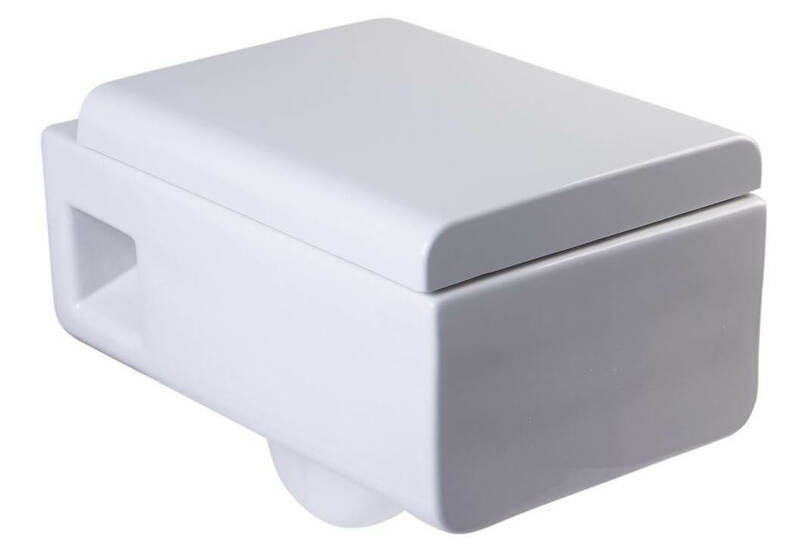 The rectangular shape of tank and seamless design makes this water closet discreetly blend into any modern interior. In my humble opinion, I do think Duravit has the sleekest design among all the square toilets. The only problem with their model is the flushing power. The toilets often leave a mark after flushing. The best part is it has a 5 year warranty. Eago WD333 is an unique piece of toilet, because when the lid is closed, it looks like a time capsule from outer space. Having an EAGO model in your bathroom will turn your shabby peasant’s cave into an aesthetic heaven. And if the futuristic look wasn’t enough, it is also equipped with dual-flush technique. This model has two buttons to flush, which uses either 1.6 gallons or 0.8 gallon of water depending on your ‘situation’. From my experience, the flushing power is alright. It’s not super strong, but good enough to get the job done. The dimensions of this ceramic cube are 21 x 14 x 15.8 inches, and it weighs 72 pounds. And since it is a wall-mounted toilet, you can decide for yourself how high the toilet should be. My opinion will be 17 inches, just like the ADA standard. I found this hidden gem when I was browsing through Amazon’s recommended products. After doing more research and really understanding all the specs on this model, I think it’s safe to say that the WoodBridge T-0020 is a pretty neat square toilet. Aside from the angular design, this model’s biggest strength is that it is able to reserve water. Using only 1.28 gallons when flushing, it saves up to 10000 gallons of water per year. It is easy to clean this toilet due to the fact that the trap-ways are sealed and the joints are underneath it. his toilet also comes along with a soft-close toilet seat, which can certainly save you from getting bombarded with that clearly distracting slamming sound. Why Should You Get a Square Toilet? Like humans, toilets come in all shapes and forms. There is even a rumor going around claiming that 90% of European countries are using square toilets! Surprisingly, none of my European friends know what a square toilet is… And during my trip to Italy, I never saw any toilets that came across like a brick of Lego. I have a few guesses, but comment below if you know whether these rumors are true or not. I often wonder why people decide to buy a certain category of product instead of the other, and I’m sure most people do the same before they invest in a toilet; especially if it’s square-shaped. One has to consider whether it’s worth it or not! 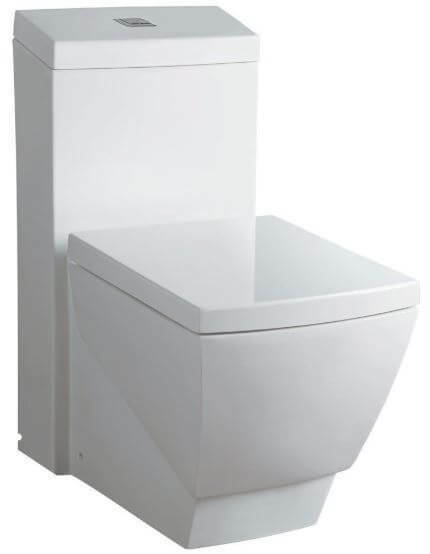 Modern Look - With the angular design, square toilets easily blend into the bathroom space. If you are looking for something eye-catching for your bathroom, then it sure will give it a touch of modernism. 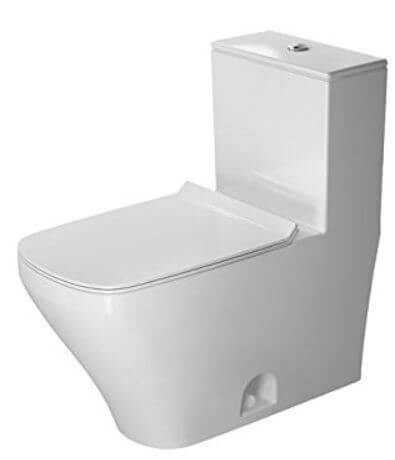 What makes square toilets different from normal models is the contemporary simplicity. Comfortable...? - This depends on the make and the design, and of course, on you. However, a portion of users do complain about the narrow space and the shape of the toilet seat. So really this is a matter of taste and individual comfort. Installation - Well, due to the different shape of square toilets, some plumbers may have a hard time making sure everything is alright. If you do not finding a skilled plumber, you might end up with a wobbly seesaw. Price - The price is usually 10~50% higher than normal toilets. So square toilets are often viewed as “high class” toilets. Every type of toilet has their own place/market in on the world. So does the square toilet. Although flushing power isn't its strength, the unforgettable outlook may just be what you need. It may take some getting used to, but it can’t be too uncomfortable- all new things take some time to adapt to! It’s definitely worth investing in, not only will you stand out, but you’ll be doing the planet a favor if you opt for the environmentally friendly version of the square toilet. Be clean. Stay white. Good luck.